In 2017, Pick-Me-Up was recognized nationwide with awards and publications. Learn more about what makes us so special. Pick-Me-Up was honored to be one of 15 startups nationwide selected to compete for The Company of the Year Award powered by The Hartford in 2017. ​This award honors and recognizes the accomplishments of young entrepreneurs across the nation and awards student-run businesses that effectively demonstrate company achievements and the personal development of every team member. Pick-Me-Up was the proud winner of this award in 2017. The Junior Achievement Social Media Marketing Award recognizes student-run startups that harness social media to effectively communicate with their audience, deliver content in diverse ways, and market their business creatively using online resources. It was our pleasure to be one of five companies nationwide to compete for Delta's Social Impact Award in 2017.
innovative solution to a local, national, and global social problem. We were extremely honored to be one of 15 startups shortlisted for Fed-Ex's Access Award. Markets, Fueling Community Development, and Sustainable and Social Responsibility. 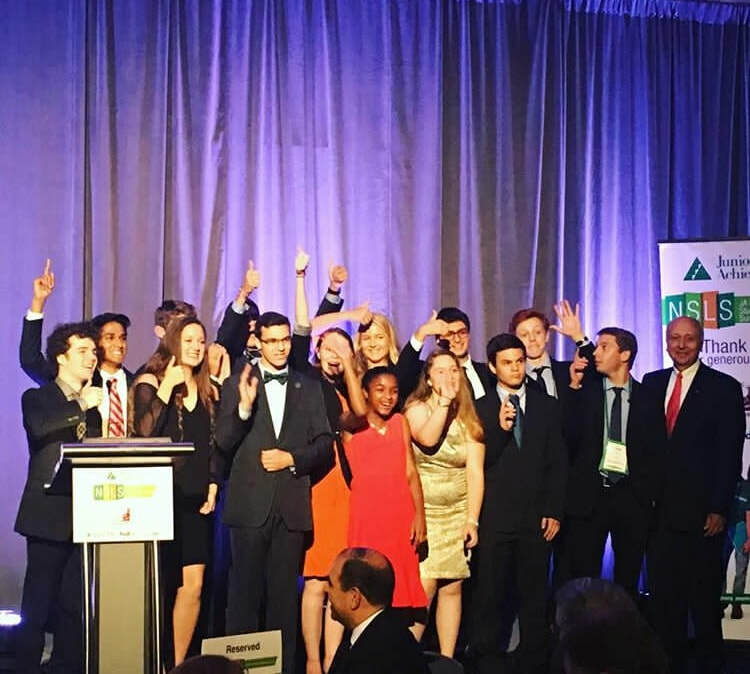 "Pick-Me-Up Team Rounds Out School Year with Impressive Performance at JA National Student Summit in D.C."
"Delta, Junior Achievement partner at National Summit showcasing student entrepreneurial creativity"
"Recap: The Junior Achievement National Leadership Summit"
"JA Company Program Student Entrepreneurs Launch Delivery Box Service to Bring Hope to Teens Suffering from Anxiety, Depression"